Olives Et Al's responsive ecommerce website allowed them to express their brand identity and give customers a personalised experience. Launched in 1993, Olives Et Al have gone from strength to strength, sharing quality olives, nuts, snack and sauces to a national audience. Selling both directly to the consumer and to trade, the Olives team prepare their food with love, care and imagination to offer consumers with dishes that go beyond taste to engage all the senses. With their range of products expanding and a website that no longer represented how they wanted their customers to perceive them, Olives Et Al wanted to inject some personality into their website. 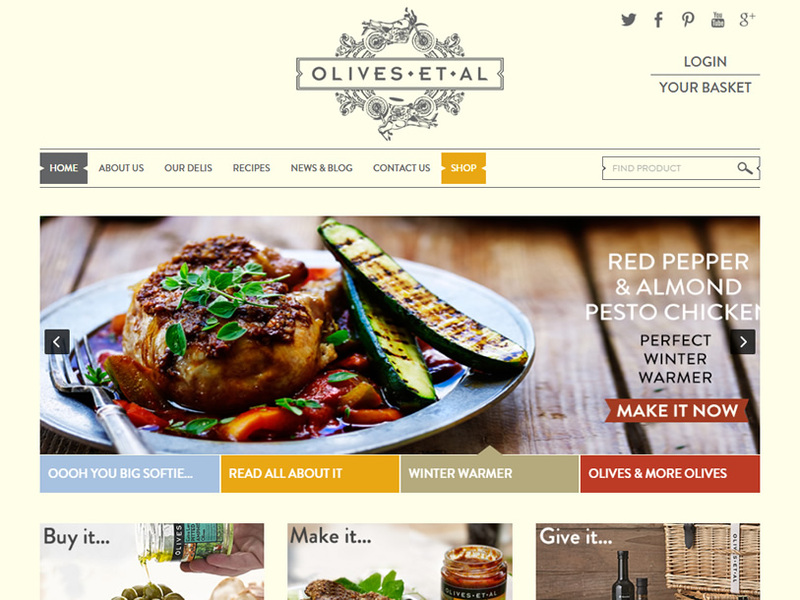 The strategy for Olives Et Al started with a re-design to give the site a brand new look which reflected their brand personality and their love for discovering new tastes with their customers. The website needed to resonate with end users, creating an exciting experience to encourage repeat visits and sales. The website reflected the essence of the brand: Every olive has a story to tell. The new ecommerce platform was to give customers the best of both worlds: a site that was both easy to manage as well as offering the customer a personlised, memorable brand experience. We understood we needed to produce a new ecommerce website that had a highly engaging and interactive interface built in. Alongside a powerful customer database and market leading ecommerce platform, the Adido team developed a three pronged solution for the brief. Part one: develop a MODX managed CMS to allow for high flexibility in design and produce a highly interactive area on the website for users to “share their story” and engage with the brand. 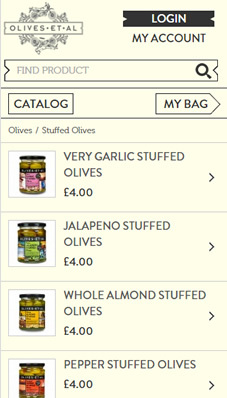 Part two: using the Magento infrastructure, develop a market leading ecommerce platform to support increasing online sales for the Olives Et Al product range. Part three: create a middleware data solution to provide a holistic “single customer view” to support the customer experience with the brand. With the launch of a new range of green tea and fruit infusions, Dorset Tea needed to unify their social presence with an ecommerce platform to create a digital space where users can engage and be inspired by the brand.